Arranging a wedding, organising a party or planning a corporate event anywhere in Essex, Suffolk, or Hertfordshire could not be easier. We do it all! From planning and advice to managing your event, just tell us what your vision is then sit back and relax. Betty Booth photo booth hire Essex will arrive packed with a massive box of props, attendants to assist your guests and the latest high tech equipment to guarantee you and your guests experience a fabulous time. Our event photo booths are totally customisable and your photo booth prints can be personalised with a message, logo or graphic. You can even change the background to match a coloured theme. You and your guests can choose between colour, black and white or sepia prints simply by using the touchscreen inside the photobooth, or even make a short HD video to make your wedding, party or corporate event more memorable. Hear the laughter pouring out from the booth and see the smiles from your party guests as they exit the booth looking at their crazy print, which is developed in 10 seconds from pressing the print button! You choose your booth style, choose your rental package, remember the photo booth hire time includes unlimited sittings, green screen (optional extra), video messaging and a fabulous photo filled guest book of your wedding or party images. 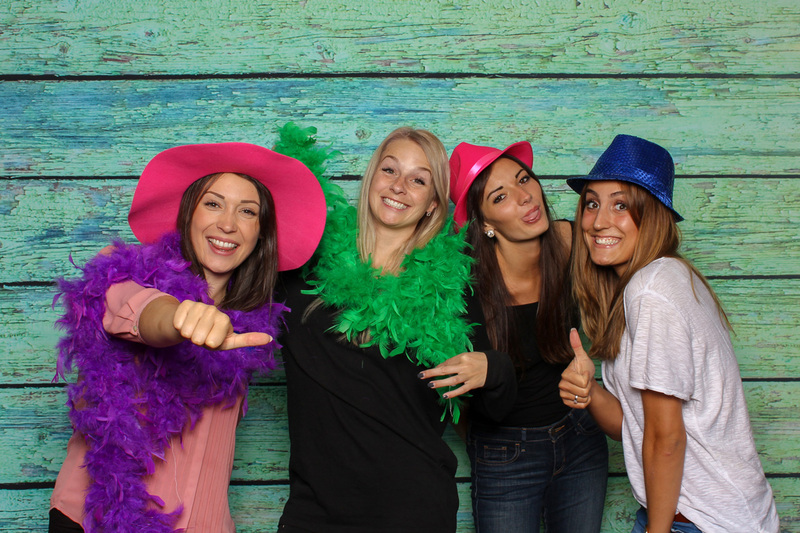 View the large variety of Photo booths we have to offer and choose which one best suits you and your event. With a package to suit all tastes and budgets, click here to view which one you'd like to reserve for your event. A popular feature at any Wedding, click here to see how Betty Booths can help make your wedding stand out. Click here to view our full online gallery of past clients and guests to help you visualise your own Betty Booth photos. A modern ‘spin’ on the traditional black & white passport type photos popular during the 80’s era, today’s Photo Booth experience delivers better quality colour photos, bigger images, wider smiles, louder laughter… just add friends!! 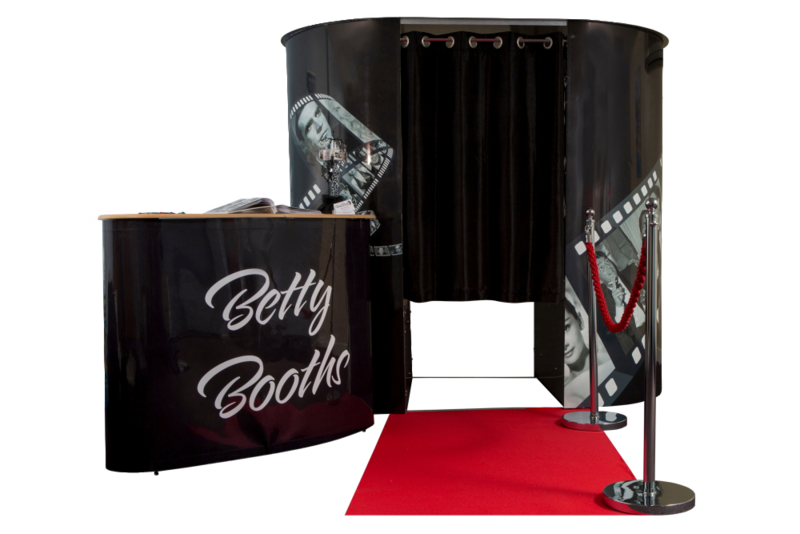 When you rent a Betty Booth Photo Booth in Essex, Suffolk or Hertfordshire, you will receive the latest in digital technology. Photo booth hire comes standard with assistants, props, VIP red carpet and Designer guestbook/photo album plus much more. 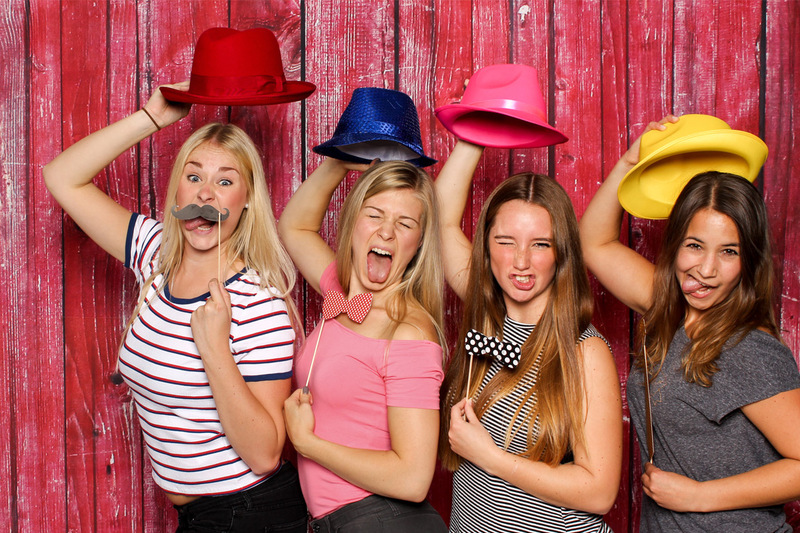 Renting a Photo Booth for your wedding, party or corporate event is a great way to entertain your guests creating long lasting smiles and memories that will last forever. Two glamorous attendants to look after your guests, its your party after all – enjoy yourself! A VIP red carpet to sashay down, Unlimited photo booth prints which can be customised with a message, logo or graphic prints that can be sepia, black and white or colour and Short HD video option. 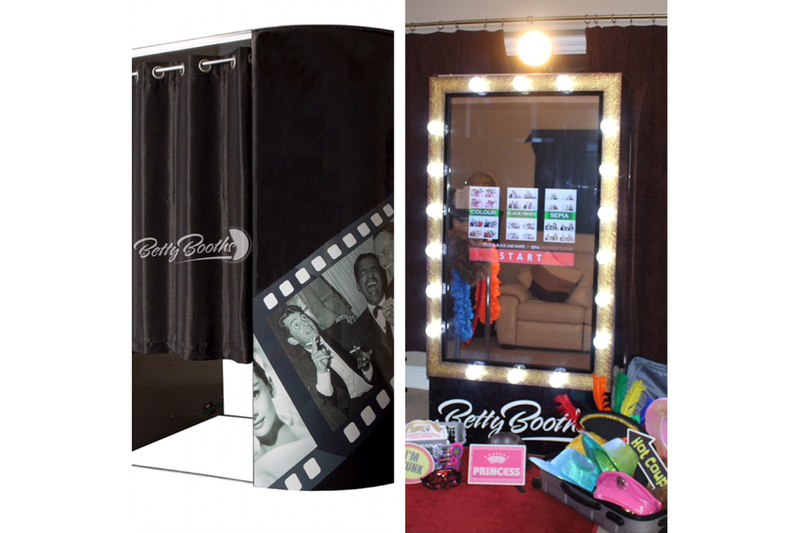 Our photo booths at Betty Booths photo booth hire produce prints that are developed in just 10 seconds. The Booking also includes a fabulous photo booth party guest book filled with images and comments from the guests. 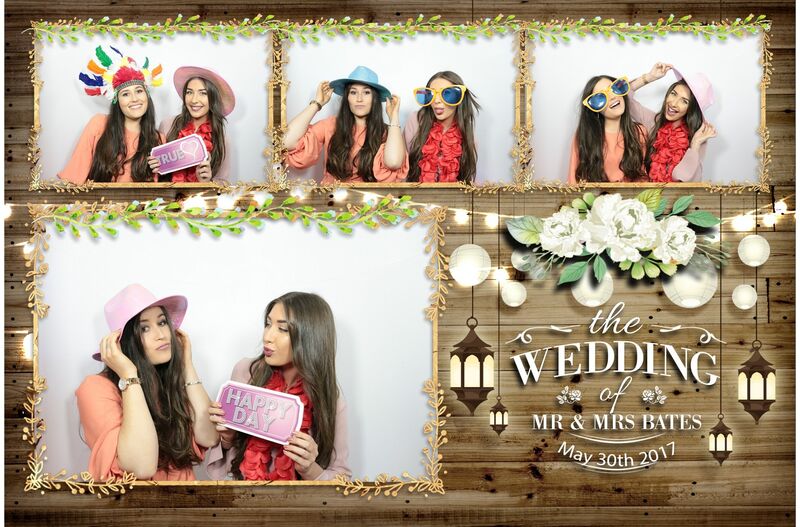 Our standard photo booth hire is for 3 hours and we offer unbelievable value for money, photo booth hire fun! With a range of competitive packages available, as well as a hist of extras we’re sure you’ll find everything you need at Betty Booths. View all of our available services and packages or go straight to reserving your special date before it goes! 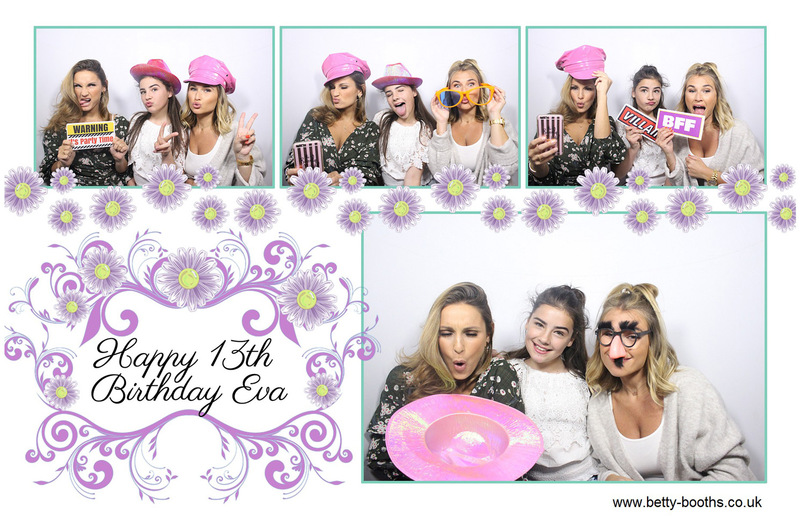 We guarantee you will be totally blown away by the quality prints you receive from Betty Booths Photo Booth Hire. The versatile Layout Options and custom cards will make your party, wedding or corporate event even more memorable. So if your planning an event anywhere in Essex, Suffolk, Kent, London & Hertfordshire talk to Betty Booth, we’ll be there in a flash! Absolutely loved the photo booth we hired for our wedding! Everyone had so much fun and the props provided were brilliant! I would definitely recommend Betty Booths for anyone looking for a fun addition to any party. The Album and key rings were brilliant and have given us some great memories to look back on, Thanks! !